EVERYDAY FROM 11 am TO 8 pm! 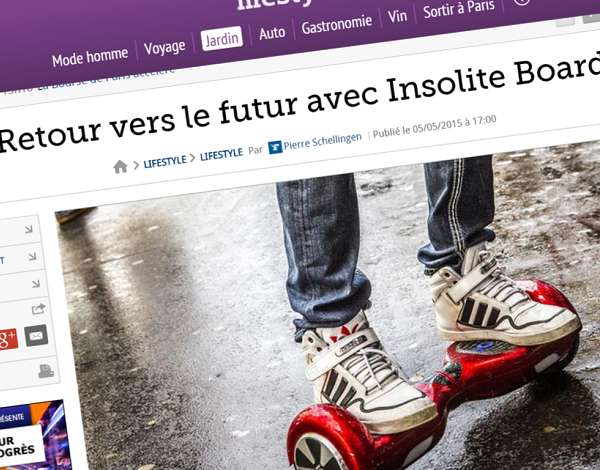 Insolites Board has been a pioneer in hoverboarding since 2014 and has a unique concept that combines selling, renting and activities with this object from the future. 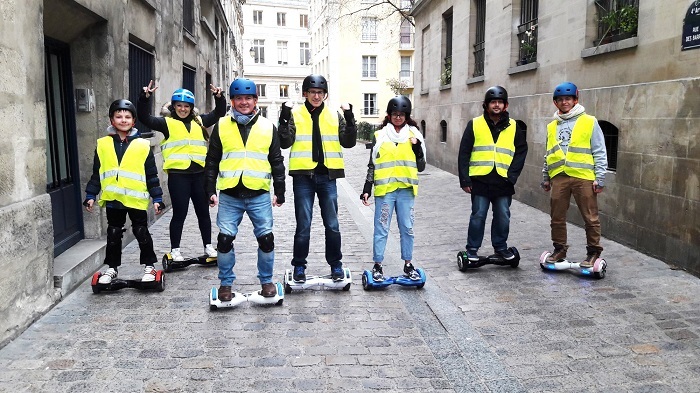 In order to learn how to ride a hoverboard safely, we have created a range of services and activities that suit everybody: private individuals or professionals! We are the European leader in the area, have a fleet of nearly 100 hoverboards, professional activities organisers and above all a unique learning method that guarantees you to be able to ride this futuristic machine in no time! Do you want to spend a fun and innovative moment? 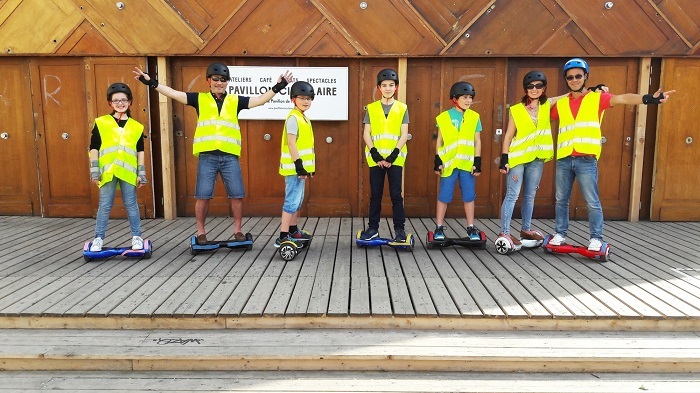 Enrol in our hoverboard introduction sessions now, followed by a wonderful ride into town during the HOVERBOARD TOURS. For thrills, try the E-HOCKEY or the HOVERBOARD KARTING, which will become the sports of the future! With family or friends, for a birthday or any other private event, contact Insolites Board now. 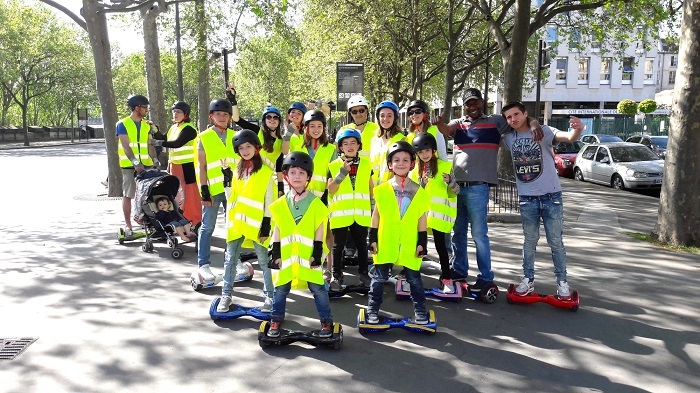 We are the leader for hoverboard activities, have a large fleet and many professional activities organisers who can meet all your expectations. Our various activity programmes guarantee the success of any type of event. Whether you are a private company, a local authority or an event agency, do not hesitate to contact us as we offer different types of services depending on your needs. 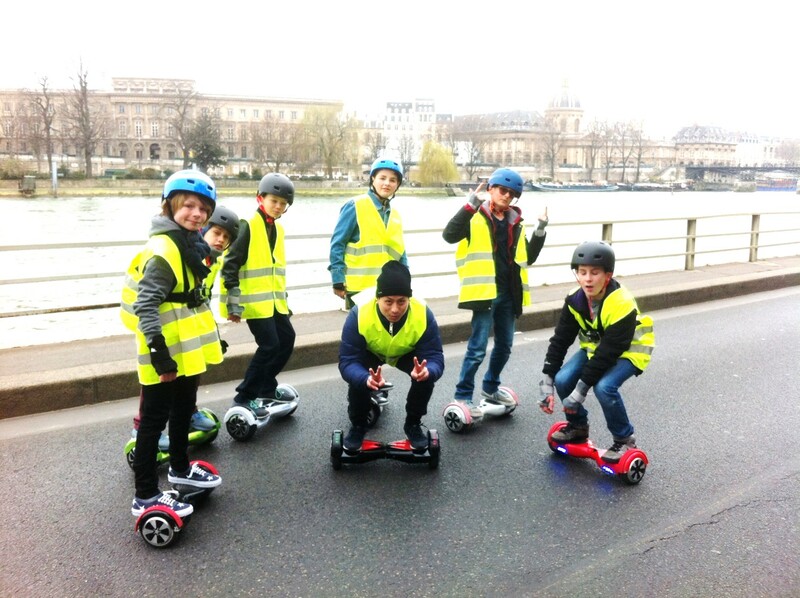 The HOVERKART TOUR is the best way to discover this new product: the HOVERKART. It is the karting version of the hoverboard! Discover this truly unique new activity now! Alone, with your friends, partner or family, for a birthday or any other private or professional event, come spend a fun, playful and innovative moment with us! 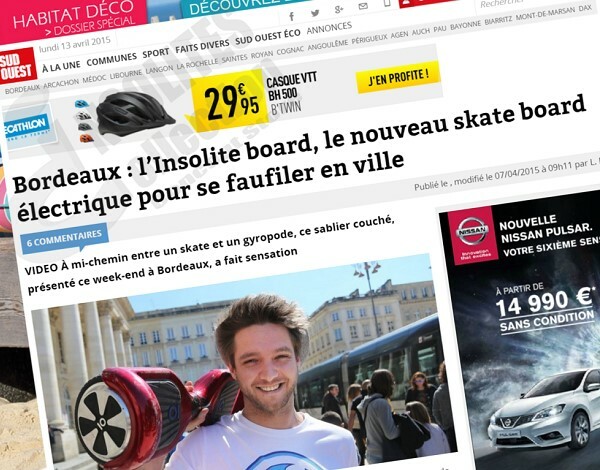 The HOVERBOARD TOUR is unique in France and is very trendy! Try it safely during a complete introduction session thanks to which the hoverboard will hold no secrets for you. 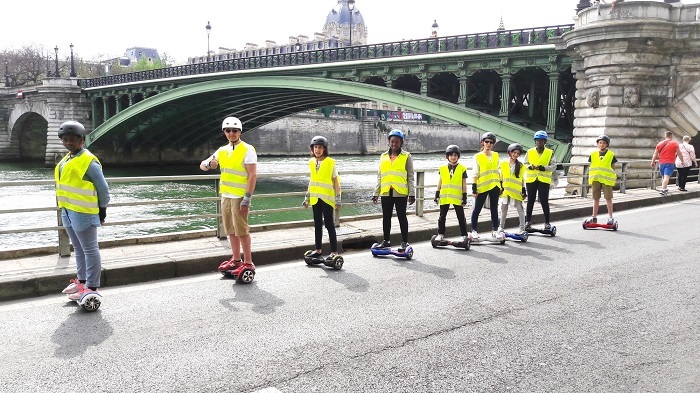 Then get on your hoverboard and go explore PARIS. Accelerate, slow down, go up curbs, ride on cobbled streets: after a 1:30 session, you will be an expert! 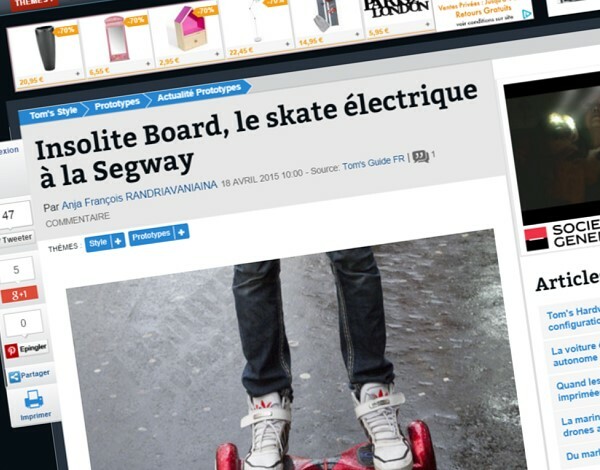 Here is a proof: read the articles about us below! 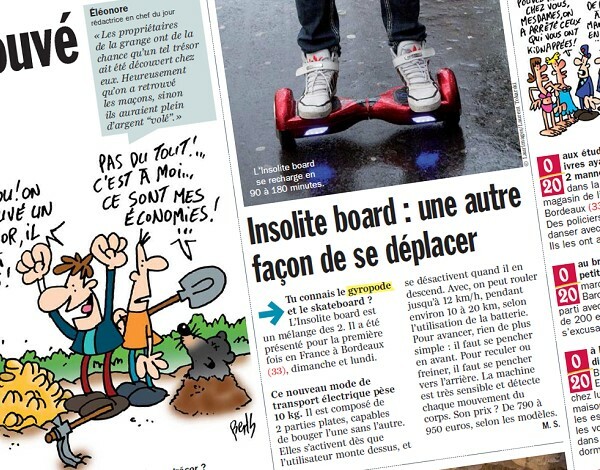 Really, the Segway technology still stimulates the imagination of technophiles. Since its creation in 2001 by the American businessman Dean Kamen, the inventor of the Segway, the dynamic balance technology on two parallel and coaxial wheels continues to develop and evolve into new applications. 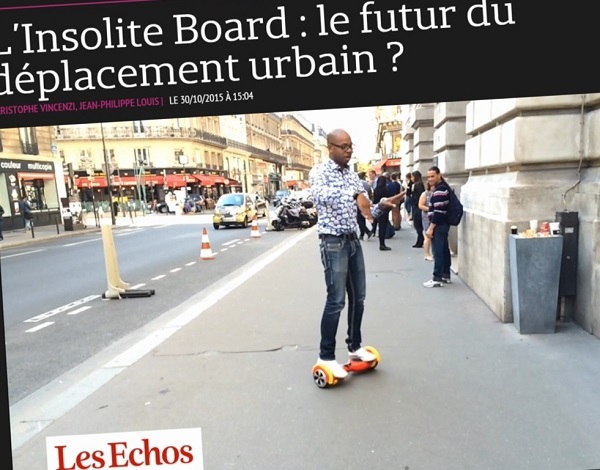 The Insolites Board: the future of urban transportation? 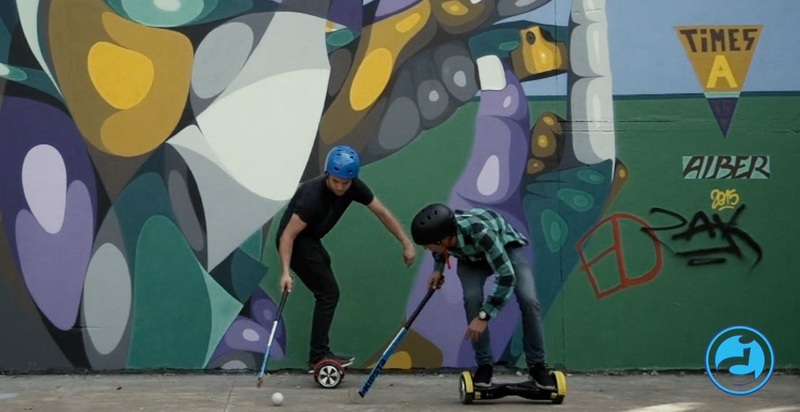 Do you know the Segway and the skateboard? L'insolites board is a bit of both. It was presented for the first time in France in Bordeaux (33) last Sunday and Monday. Quentin Bonis draws crowds. On Monday, 3 pm, place de la Comédie. He presents on the Grand Théâtre forecourt two funny hourglasses lying with wheels. One black. One red. He invites the passersby to try. People gather round, staring at these unusual objects. "Bend your knees to move. 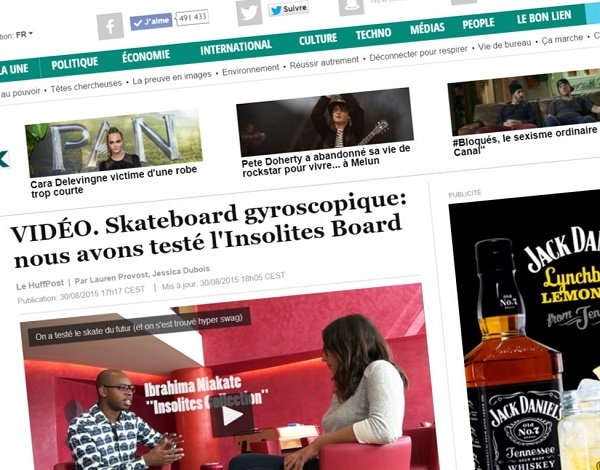 Lean back to stop"
Insolites Board is a concept that reinvents the classic skateboards. After the skateboard without a board, here is an unusual model halfway between the Segway and the electric skateboard. A gadget which should allow its owner to get around town in a different way.